Spring break used to be all about vacations. Now, as an adult, it’s about giving your home a spring clean. This year, why not include our vehicle on your checklist? The best way to keep your home looking clean and tidy is with regular maintenance and cleaning sessions. However, after a while, personal items and junk begin to clutter up your space until your regular cleaning sessions are barely keeping up. This is where a spring clean comes in, to give your family and your home a fresh start. If you think about it, your vehicle also becomes cluttered, however, it likely doesn’t receive the same regular clean as your home. With this in mind, include your vehicles in this year’s spring clean, starting with these tips from TenEyck Distributing. Take your time and don’t rush the task. Bring your car out into the sun to get a better view. Adjust your tire pressure if necessary. Inspect your wheels for cracks, lodged debris, and any other sign of damage. Inspect your tires for cracks, chunks taken from your tread, bald spots, punctures, and lodged debris. If you can see any problems, or potential problems, have your wheels and tires checked before driving on them any further. Resist using cheap products and instead only use high-quality fluids. Don’t just top up a fluid, flush it out and replace it. Clean up any spills as they occur. Once you have finished, keep the leftover containers in your trunk upright. Click here to buy Signature Series 5W-20 Synthetic Motor Oil and keep your engine running smoothly with a synthetic oil change. If you would like to learn more about the benefits of a synthetic oil change, or for help finding the right product for your engine, speak with an expert at TenEyck Distributing by calling (208) 589-4660 or check out the online store. Despite its small size, your battery is one of the most important parts of your engine and vehicle. So important that, if it stops working, your vehicle won’t even start. With this in mind, lift the hood of your car and inspect the condition of your battery. A visual inspection in good light is the easiest way to know if your battery needs attention or not. If you can see grime or dirt build up, a dry cloth can be used to wipe it away safely from the terminals and cables. If you can see corrosion or any other obvious sign that your battery isn’t going to last much longer, consider replacing it while you are cleaning your vehicle, instead of becoming stuck in the supermarket car park with a car that won’t start and a trunk full of melting groceries. The role of your air filter is quite simple. Its job is to prevent pollutants and debris from entering your engine via your air intake. The cleaner the air which makes its way into your engine, the better your engine can perform. However, just like all filters, your air filter won’t last forever and will need to be replaced. But this isn’t a task which your mechanic needs to perform. Instead, this piece of maintenance can be easily performed by motorists in their driveway. Check online for a video tutorial or look through your owners manual for instructions. If the task seems daunting, don’t let it stop you. Not only is it great to become more involved in your vehicle maintenance, but replacing your air filter can also reduce your mechanic costs and improve your engine performance. 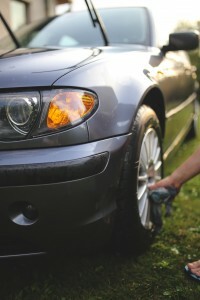 The above items are a great place to start when it comes to including your vehicle in your spring clean. If you can see any other aspects of your vehicle which could use some attention, now is the time to include it on your cleaning list. In addition to your vehicle, maintenance such as a synthetic oil change in Saint George, UT can also improve the performance of your boat, ATV, and even your lawnmower. To find out more or to place an order, speak with TenEyck Distributing at (208) 589-4660.